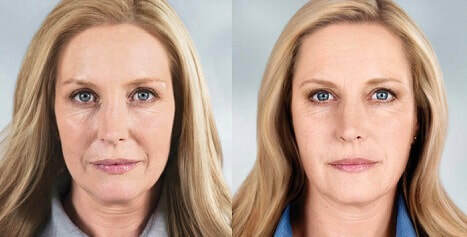 Sculptra® Aesthetic works subtly and gradually over time for a more youthful-looking appearance. Unlike hyaluronic acid (HA) fillers, Sculptra Aesthetic helps stimulate your skin’s own natural collagen production to help restore its inner structure and increase facial volume that has been lost to aging. Sculptra Aesthetic is intended for use in people with healthy immune systems as a one-time treatment regimen of up to four injection sessions that are scheduled about three weeks apart.